Dialpad is an enterprise communication platform that helps fast moving companies get rid of all their desk phones. In 2016, they made a company-wide strategy decision to switch to an Account Based Marketing approach. 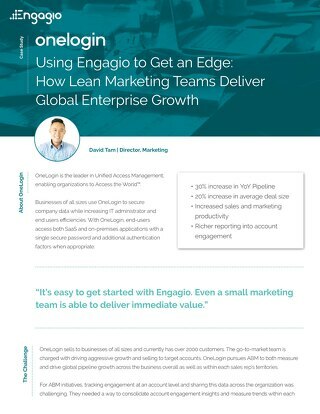 They looked to Engagio help forge their ABM initiative within the Marketing and Sales department, as real transformation can have some bumps along the way. Previously, they were unable to see the impact of the marketing programs to their target accounts. Since implementing Engaigo, they are now able to see an entire account based funnel from one end all the way through the entire cycle.  This helps them with budget allocation and identifying the degree of impact all of their marketing programs are having at every stage of the funnel. 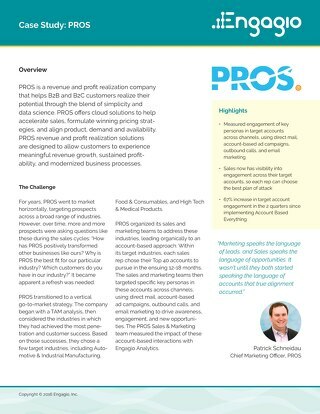 Engagio helped educate the sales team on what Account Based Marketing means for them and gave them more visibility into their target accounts. Knowing who to reach out to and when has been critical during the shift from the lead-centric to an account-based approach. 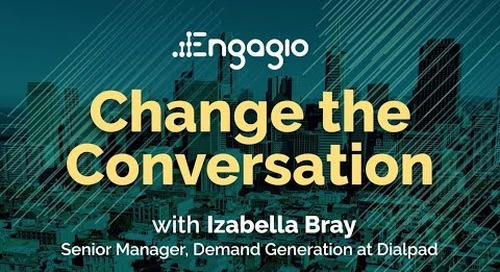 "What I've learned about Engagio is that it's not just good for your marketers, but it’s really transformational for your sellers in your organization." 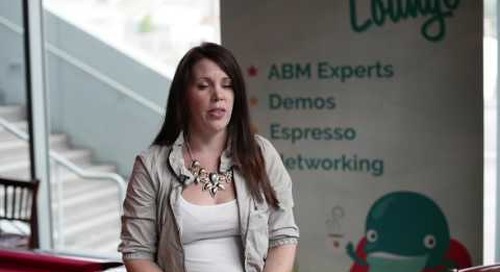 "I would recommend Engagio to any company trying to get into the ABM market and build a strategy around it. 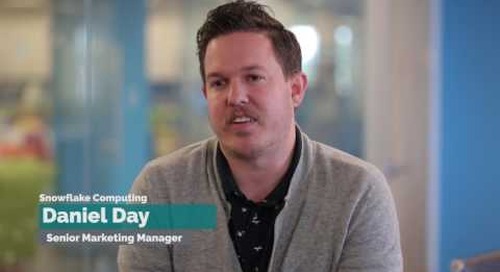 Without a tool like Engagio, it would be next to impossible." 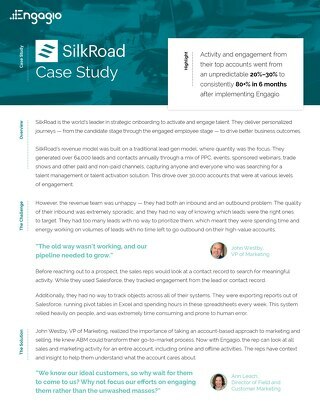 Activity and engagement from SilkRoad's top accounts went from an unpredictable 20%–30% to consistently 80+% in 6 months after implementing Engagio. 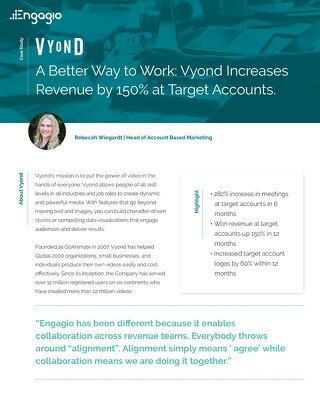 A better way to work: Vyond increases revenue by 150% at target accounts. 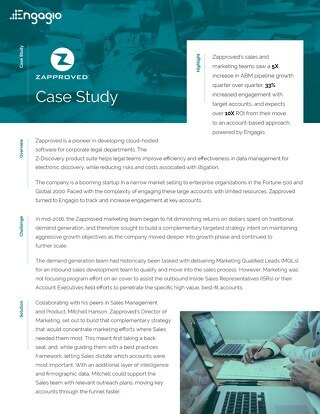 After implementing Engagio, Zapproved saw a 5x increase in ABM pipeline, 33% increase in engagement with target accounts, and expects over 10x ROI from their move to ABM. Engagio gives the Snowflake team full visibility into the awareness and engagement at the account they care about most. This allows them to determine if their ABM efforts are working. Engagio's Account Based Marketing platform has saved the Lattice Engines’ team hours of pulling and aggregating data at the account level and netted them 2x the engagement at target accounts. 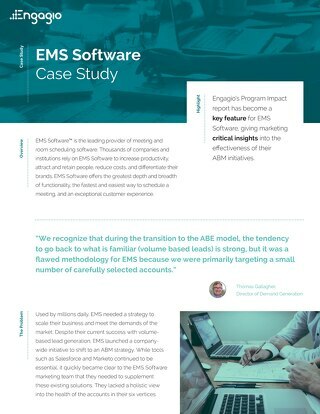 Engagio’s reporting has played a key role for EMS Software, giving marketing critical insights into the effectiveness of their ABM initiatives. 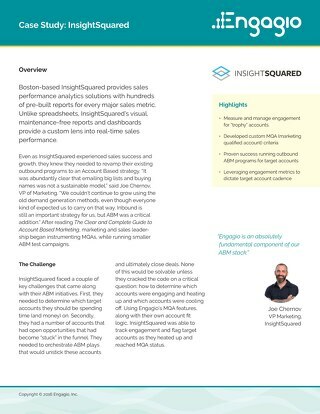 After implementing ABM with Engagio, VersionOne achieved 88% engagement with target accounts, 66% increase in value of target accounts and a significant increase in ASP.